The top drawer operates with a slam lock. 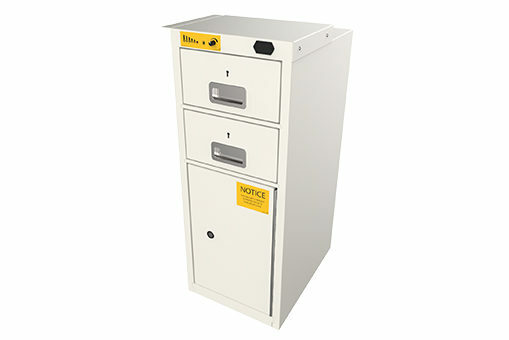 The middle drawer provides a secure quick deposit system for cash or important documents. When the middle drawer is closed, objects drop into the bottom drawer’s secure unit. The bottom drawer operates on a time lock mechanism and will not open until a set time, when a red light flashes and an alarm sounds.